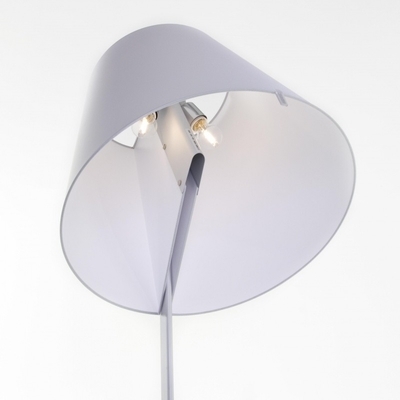 A silk satin fabric shade connected to a painted zamac base via a painted aluminum stem, Melampo can be adjusted for direct and indirect light. 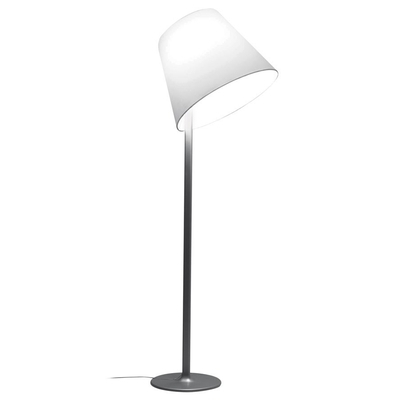 Mini accommodates 2 shade positions while the standard task lamp shade can be maneuvered into 3 positions. 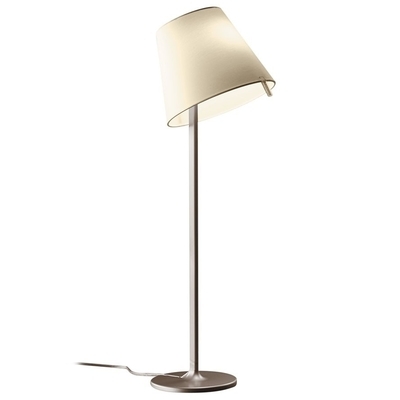 Available in Grey or bronze fabric shades available. Floor and table versions.